July 11th the date we were spending our first night as residents of these parishes. Also the date of England’s World Cup Semi-Final. We wanted to enjoy both. The timing was tight. The removal men emptied our vicarage in Appledore by late afternoon, ahead of delivering the next day. We hurriedly tidied up the last bits, packed camp-beds and overnight things in the car (along with the all-important TV), bade our farewells to our old house, and headed off for the new. We arrived at The Rectory within half an hour of kick-off, the TV still to tune and food to find. But with much joy, perched on camping chairs in an otherwise empty house and with dinner from the Spar on our laps, we sat down for the match as the National Anthem played. Just a pity about the result. I’m writing within a week of this. Thankfully the tide of boxes to unpack is slowly receding. The euphoria of the World Cup is already fading fast. But the gentler delight for us of living here is here to stay. It has been a long wait since receiving my appointment letter in January to be ‘Team Vicar in the Otter Vale Team Ministry with special responsibility for Escot, Feniton and Payhembury’. We’re finally here, and I am greatly looking forward to getting to know the communities and all the people I will meet and get to know. I will be delighted to see anyone who wishes to come to my licensing service on August 1st. The date seems apt. I associate it with when new car registration plates were issued each year in days gone by; as a boy I would eagerly look out for gleaming new cars on the road. I’ll similarly be newly out and about (though I’m not sure about the gleaming bit). So please do help me out when I need direction – geographically or otherwise – which undoubtedly I will. 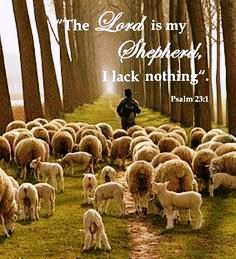 In the licensing service we will be singing a version of Psalm 23 (‘The Lord’s my shepherd’), which includes the words, ‘For your endless mercy follows me, your goodness will lead me home’. Reassuring words for us all. The particular road that has led Dawn and me here is one on which we have felt God’s leading and his goodness in doing so. I am looking forward to walking life’s rich and varied road with you through the years ahead.